“No dream is too big.” You hear that Dreamworks? That means that you can indeed make a film about a snail entering the Indy 500. Turbo is a movie that plays by its own rules, and doesn’t take any risks. However, the film boasts characteristics of originality; and that’s partly why it’s a movie I recommend. 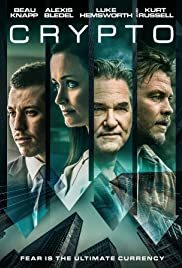 It is relatively expendable because anything could happen on its own terms; however, it doesn’t have too many recycled ideas (I won’t discuss the ending). Overall, this animated film is an entertaining under-dog story that will leave you and your family with a smile on your face, despite the fact that there isn’t much to think about after the credits roll. 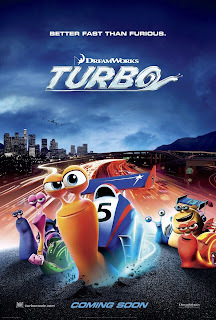 Turbo is about Turbo, a race-car-driving-wannabe snail whose life is in the dumps at his home in the tomato plants. That’s basically all we get to know about the dreamer (unfortunately), so when he gets “transformed” into a super-speedy snail, he only focuses on being fast; and exercising his ability. He meets some friends along the way (including humans and snails), and they are voiced pretty well for the movie’s comedic and overall benefit. If you’re wondering if you should go see this, my answer is sure! It’s pure entertainment. It’s not as good as Monsters University, but as my younger brother and I strolled out of the theater, he proclaimed “four stars!”, as he is aware of my rating system. It always elates me to see a smile on his face after a movie, so if you’re looking to see a movie, the only thing I can say for sure is this: Enjoy Turbo for what it can do for your family at any time of the day, and let your kids bathe in the glorious animation. And remember, “That snail is fast!”.